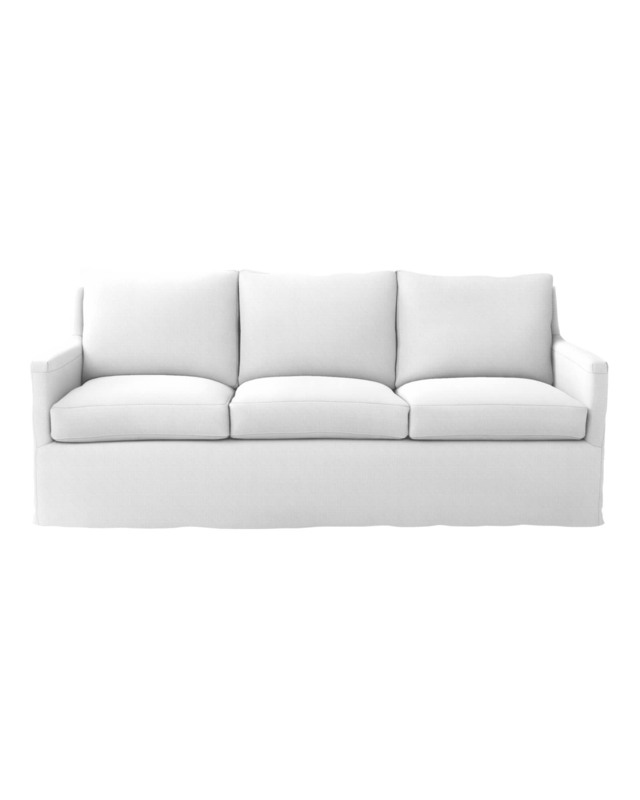 Spruce Street 3-Seat Sofa - SlipcoveredSpruce Street 3-Seat Sofa - Slipcovered, alt="Spruce Street 3-Seat Sofa - Slipcovered, "
Print Sophisticated but never stuffy, our Spruce Street Sofa has cosmopolitan appeal. The look is tailored and chic, with refined proportions that don't sacrifice comfort for style. Every last detail was considered, from the double-needle stitching on the slipcover to a just-right seat depth. Beneath the slipcover, the sofa is upholstered in smooth muslin; slipcovers remove for dry cleaning. 81"W x 35"D x 36"H overall.